I am a REALTOR serving the North Shore and Greater Boston areas with Coldwell Banker Residential Brokerage in Beverly. My comprehensive background in business, social media marketing and education led me to a perfect fit in the Real Estate arena. As a full service agent I have represented individual sellers and buyers as well as contractors and investors. I enjoy keeping a finger on the pulse of current trends and have a successful record helping my local, national and international clients navigate the ever changing water of the market. Other areas of expertise include corporate relocation and employee transfer and out of state referrals. Affiliating with CBRB affords me the expansive influence and resources of an industry leader with a 106 years track record, while delivering my clients exceptional service with a personal touch. The best REALTOR is a teacher at heart. Don't be at the mercy of just any Real Estate agent who picks up the phone. Work with a professional REALTOR who stays on top of the news and predictions and can help you take advantage of opportunities in the current market. I am here to simplify market trends for you. Follow my VLOG - Sara Moves! on YouTube or my BLOG - Real Estate with Sara Maurno. I will educate you on the current Real Estate market and help create an individualized strategy to move you forward with your life! With my finger on the pulse of market trends I have state of the art tools at my fingers tips to help you SELL or BUY your home. As a relocation and referral ambassador I can also vet a polished, professional an effective agent for you any where in the nation. You can also follow me on Facebook for timely updates. "Sara took the time to get to know what I was looking for in my new home. She really thought not only about what I said I wanted, but about my work, family and friends and made great suggestions of places to look at; so great in fact, that the home I purchased was not something I would have looked at without her nudge. And she was right; I love it! Sara answered any question I had, sometimes before I even asked. She made connections with my approval with bank and attorney, and worked together with them to make the purchase as seamless as possible for me. I would and will recommend Sara to anyone who is looking for a new home!" "Sara was an incredibly amazing agent to work with when I was looking for my new home. She was extremely professional in all of her interractions with me, and helpful in every possible way including always responding to my emails in a very timely manner, being patient with me, answering all of my questions thoughtfully and honestly, and reassuring me and keeping my hopes up in the face of not seeing any houses I liked. Then, after spending a lot of her time looking at houses with me, when I finally found the house I really wanted, she was awesome in setting up our bid to ensure I ended up getting that house. Sara then continued to stay on top of things all the way through to my closing. Buying a new house is a very trying and challenging process, and you want Sara on your side when going through it." "As first-time homebuyers my wife and I didn't know where to start! With a bit of luck we found and starting working with Sara in order to purchase a home in Salem, MA. Sara took the time to teach us about the home-buying process, and encouraged us to make informed decisions. She was a true advocate and guide from our first meeting until we had the keys! We found Sara to be professional, caring, informed, and light-hearted. Should we ever hope to move again, we'll absolutely reconnect with Sara!" "Sara knows Salem. She has a good eye for a bargain and the potential in an overlooked property. We liked and trusted her so much so that once we moved into our new place, we had her list our old one. She made some great recommendations and took care of so many little details. A throughly enjoyable, reliable and relatable person to deal with." "I was a first time home buyer and Sara did an excellent job as my realtor. She was always readily available to show properties and was very flexible with her schedule in order to meet my needs. The entire process from start to finish went extremely smoothly and I love my new home! " "Sara was my buyers agent purchasing a condo in Salem. Her knowledge of the market was very helpful in finding and closing the right deal. After the Offer was signed she was key in keeping the closing on track, working with the sellers agent, lawyers and the bank keeping them on track.I was very happy with her assistance finding and completing the purchase." "A truly caring agent, Sara puts her whole heart into finding the right home for her clients. She really went over and above expectations helping us find the perfect place for our aunt. There was constant communication and feedback about the market, as well as other pertinent moving information. When there was a last minute curveball, Sara worked overtime to see it fully resolved. This particular transaction was not going to provide a big commission for Sara, but she treated us like we were her most important clients. I can only imagine what she does for her other buyers and sellers!" "Sara was recommended from another broker. When we contacted her it was clear she was very aware of the market situation and had wonderful suggestions and advise. We had a lot of changes and challenges with our request. Sara had no problem with quick and specific solutions for us. We found her to be the best professional in communications and return calls that we have ever dealt. We were very lucky to have Sara as our agent." "We would absolutely recommend Sara ! Sara helped ease our stress with buying our first home. She is extremely knowledgeable, reliable and a great person to work with ! " "Sara deserves the highest of recommendations - she not only took all the stress out of relocating long distance from west coast to east, she also found us a north shore dream home and helped us negotiate all the usual hurdles with ease. Sara worked very hard for us throughout the process, and was extremely knowledgeable - we couldn't be happier." "A family friend recommended Sara when I decided to move back to the northeast after a year in Florida. We spoke and she described the area in the historic section of Salem within walking distance of local restaurants, stores, Peabody Essex Museum, etc. We corresponded by phone, fax and email and within six weeks of initial contact I was moving into the apt. Sara followed up with recommending a contact for a local walking club! I would not hesitate to recommend Sara to anyone who was considering a new home or selling their existing one." "When we moved to Massachusetts from Oregon, we had no idea what we were doing. Thank goodness we met Sara. Not only did she find a fantastic place to live within our budget right in the heart of beautiful, downtown Salem, but she even acted as a de facto tour guide who showed us all of the sights and was chockfull of fantastic advice. Personable, honest and hard-working, we wouldn't hesitate to call Sara again. " ""So pleased to recommend Sara to anyone buying or selling their home. She knows the intricate ins and outs of real estate, takes the stress out of the equation, acts like a human being and not a real estate sales robot. Our experience buying our Salem condo was easy and smooth because she did all the difficult parts for us! " Kathleen, M (North Shore)"
"“If you are planning to buy or sell a home I recommend Sara. Simply put you could not have a Realtor working harder on your behalf. She is honest and has an easy way of relating with her customers, but she is not afraid to move quickly and play hard when she has to bring her clients the best results possible. They don’t call her Sara Moves for nothing!” Jeffrey S ( Greater Boston) "
"“Looking for a Realtor to buy or sell? I HIGHLY RECOMMEND Sara for the job! She was our realtor last year and helped us buy our house and if we ever decide to sell we'll be calling her! 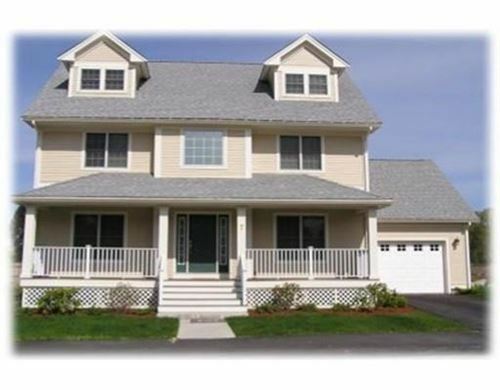 I suggest you do the same!” Maureen B (North Shore) "
"“Sara helped us buy our dream house. If I had to use one word to describe her it is “professional”. I wouldn't use anyone else!” Ken C. (North Shore) "